Industrial fans are a part of so many manufacturing and processing plants, but they are normally taken for granted. You don’t ever really think about your fans until you have to—which probably means something has gone wrong with them. PA-Industrial Services provides installation and repair fan services for Centrifugal Dust and Material Handling Fans. These industrial fans are used in are used in air technologies for a variety of reasons, from dust, mist and fume collection to providing clean and safe worker environments. If you fan is showing signs of wear, corrosion or unbalance, PA-Industries can help by providing on-site service, maintenance, testing and repair for all industrial fans, regardless of its manufacturer. PA-Industrial Services can work on any of your fan services and ensure that your work environment can pass testing for: air performance, sound performance, vibration, seismic, bump, operational modal, jet fan thrust, overspeed, high temperature, strain gauge and more. We can repair or help you replace fan components, including: air foil, axial flow, backward curve, backwardly inclined, blo bearings, forward curve, industrial dampers, industrial exhausters, paddle-wheel, pre-engineered, radial blade, RL pressure blower and surgeless centrifugal blowers. 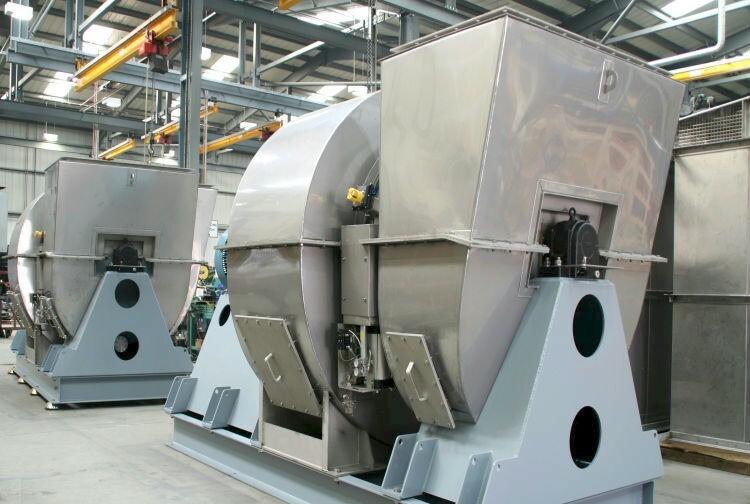 Our industrial fan/blower preventative maintenance program and our fan balancing and vibration analysis includes fan/blower external and internal inspection, bearing inspection, power transmission condition as well as accessory items inspection. Our maintenance program also includes additional onsite services that keep you ahead of the game, including balancing, coupling, and alignment. It’s easy to take industrial fans and blowers for granted, but when they stop running at peak efficiency, they can cause a catastrophic problem for your entire operation. PA-Industries can save you time and money by providing on-site diagnostics and repairs for your fans and auxiliary equipment that spare you downtime and keep your business running smoothly.